This is the Ethiopia Hambela Dimtu Guji Espresso brought to you by Barefoot Coffee Roasters. This fully washed and Organic certified Single Origin Espresso was sourced from the growing region of Guji in Ethiopia and was produced at 2,100 meters. 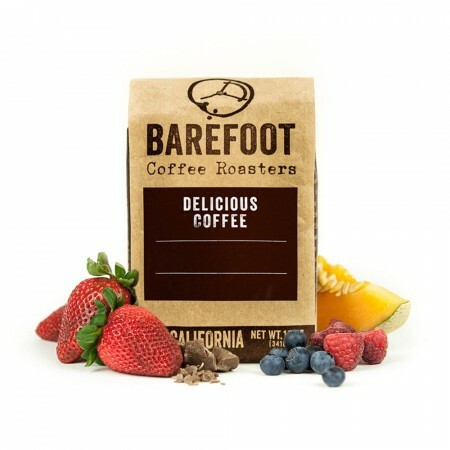 The cup has a delicate floral aroma with notes of cacao nibs and juicy berries. Mild, but had nice hints of flavor. I would like it even more if these flavors were stronger. But it really was a smooth taste I enjoyed - great for a long-lasting cappuccino. It was flat. There was little complexity. No intensity. Very little crema. I tried preparing it with an espresso machine and a french press. This coffee was not for me.